A hit and run occurs whenever there is an accident and the individual leaves the scene without exchanging information with the person they hit or contacting the police. Notably, even if you hit an innate object like a lamp post or a guard rail you should make a telephone report to the police to advise them of what occurred. Most of the time these are not considered serious offenses; however, if there is considerable property or bodily damage they can be charged as felonies. The punishments for leaving the scene of an injury accident, even if you did not cause the accident, can include large fines and jail or prison time and suspension of your driver's license. Punishment for leaving the scene of an accident that damages only property can include a fine of up to $1000 and six months in jail, even if you did not cause the accident. In certain cases, the State of Texas may also take away your car. In some instances an arrangement can be made where the client pays the injured party with the agreement that the injured party declare themselves satisfied and no longer want prosecution. Then, with the Judge and the District Attorney’s agreement the case can be dismissed. This is called a civil compromise. Call 911 right away and describe the event to the police. Try to remember as many details as possible about the other vehicle and driver, including the license plate number. Contact an experienced and aggressive Pennsylvania hit and run victim attorney. Gather contact information from any witnesses, including names, phone numbers, and addresses. Try to protect any evidence from the accident site. If you have a camera, take pictures of the accident scene. 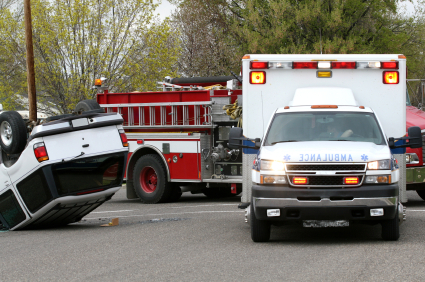 It is every person’s duty to exercise reasonable care when driving. Should a driver collide or even come into contact with any person or property of another, public policy mandates that the driver stop as soon as reasonably possible to either render assistance, or disclose required information. If you or a loved one has been injured in a hit and run accident, you may be able to seek compensation for your injuries, medical bills, pain and suffering, loss of wages, vehicle repair, and other relevant costs associated with the accident. If you have an arrest for a hit and run accident (leaving the scene of an accident), we can help you. Contact The Sheena Law Firm to discuss your case.